Known as a place to have great food and great times, McCormick’s Pub in Wayzata, MN is a local favorite for a casual spot to meet. McCormick’s is known for their burgers. In 2013, their grass-fed burger, served with short ribs, made stole the third spot on the Twin Cities Burger Tour. Too bad I didn’t know about this before my husband and I made an impromptu stop for a bite and a pint. 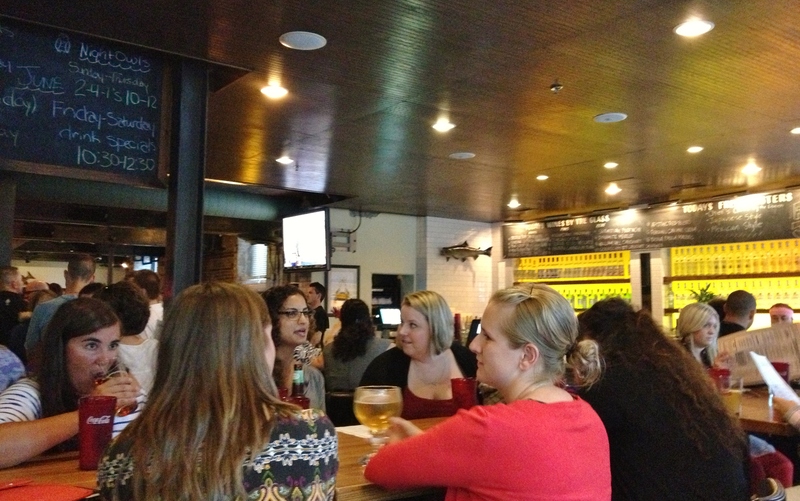 Let me tell you, I enjoyed the laid back atmosphere of McCormick’s Pub. When we arrived after work, the place was busy, but the friendly staff was able to grab us a table for two. Thanks! If you haven’t checked this place out, you should just to look at the decor. 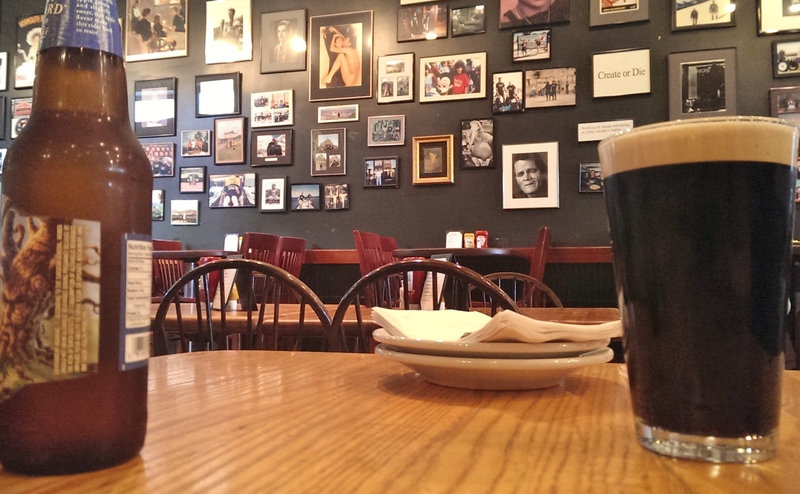 Their walls are adorned with everything Irish and it will definitely keep your eyes busy while you wait for your order. Since I had no idea they had one of the best burgers in town, you might be wondering what I decided to go with for this visit. Here’s what I got. I went with McCormick’s Lobster Roll Sandwich. Hey, I was in a seafood kind of mood! I was so excited when the waitress brought it out. Just look at how awesome this is! How a dish is presented definitely contributes to to overall experience of a visit. It helped in this case. 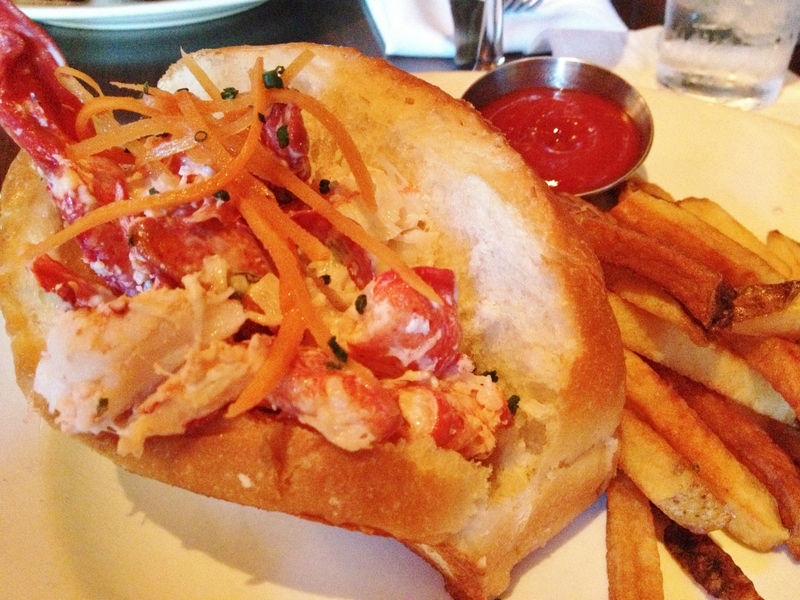 While my meal looked great, I regretfully have to admit that I wasn’t the biggest fan of McCormick’s Lobster Roll. The biggest turn off was the lobster itself. I thought it was a little rubbery, which inevitably, required a lot more chewing to get it down. Additionally, I was expecting a little more out of the bread. It was a basic bread roll. No special ingredients, no special baking process. This is not a bad thing! Personally, I would have liked to see some special seasonings baked into the bread that would complement the lobster and the dressing in the sandwich. I will probably pay another visit to McCormick’s Pub. I do believe that every place has their good and bad days. Next time, I’m getting the burger. Candyland started in 1932 under the name Flavo Korn on Wabasha St. in downtown St. Paul. In 1938, Arnie Kelsy took over the business. By 1950, he added a more extensive line of candies and renamed the store ”Candyland”. In 1981, Arnie sold the business to Doug and Brenda Lamb. It was a natural transition for Doug to take over the store, since he had already worked there for many years. In 1988, Brenda and Doug created the Chicago Mix® blend of popcorns which has become a favorite, not just in the midwest, but throughout the United States. A lot of time has passed since Candyland started as Flavo Korn, however, the recipes have remained the same. 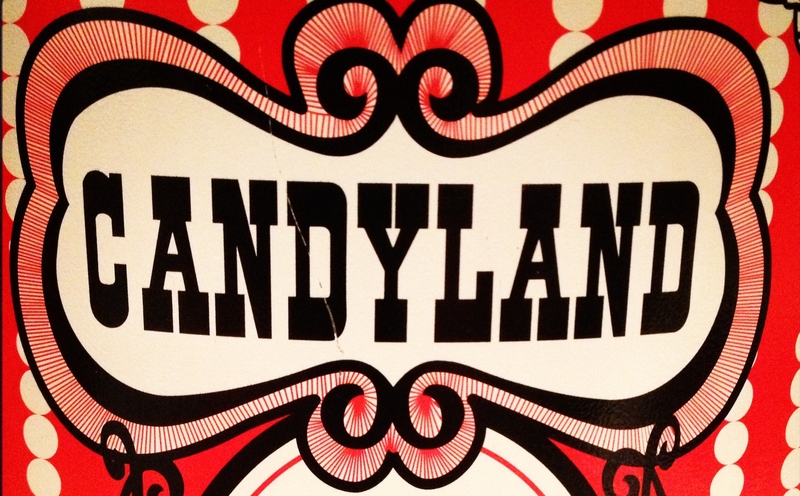 Candyland still believes in excellent customer service and the “mom and pop” atmosphere. Want to find a Candyland near you? Check out their website to view locations in St. Paul, Minneapolis, and Stillwater. Thanks to the awesome recommendation by the staff of Candyland, my husband and I, much to our delight, were able to enjoy a gallon tin of their Chicago Mix ®. I couldn’t help but smile at our good fortune. My husband and I were getting ready to host a football party, which is pretty close to every weekend, and we were looking for something unexpected to nosh on instead of the standard chips and dipping sauce. Hello Candyland Chicago Mix ® to the rescue! The Chicago Mix ® is an even blend of Candyland’s traditional seasoned popcorn mixed with a sweet caramel popcorn and cheesy popcorn. Normally, I wouldn’t have thought of adding a popcorn mix to the game day spread, but after sampling the Chicago Mix ®, how could I not make this a standard for our parties? Really, it’s that good, just take a look. Now, I’m sure I’m not the only one who can’t stand the fake taste of cheese powder that often covers chips or similar snacks. Let me assure you, I had no complaints with the cheesy popcorn included in this mix. I don’t know if what Candyland’s secret is, but I didn’t get the impression that they skimped on the flavor and quality of this popcorn in the slightest. The whole mix was so good, we became addicted by the first handful. We later discovered that Candyland makes their popcorn fresh every day in-house, which, I’m sure, added to the punch of flavors we so adored. Why was this a perfect snack on game day? For starters, you get a lot of bang for your buck when you purchase one gallon worth of the Chicago Mix ®. We had a group of six at our place (mostly guys) and everyone was able to have a bowl full. Like I figured, it was a smash hit and left the chips and salsa high and dry. Is it ironic that we were munching on the Chicago Mix ® while we were watching the Chicago/Steelers game? I mentioned that we had a gallon tub of the Chicago Mix ® and one of the first things that crossed my mind was wondering what I was going to do with the tin tub once we were finished with the popcorn. Having a background in public relations and learning the basics of graphic design, I didn’t want to simply toss the tub out. So what did we do? I decided to fill it with ice and shove a couple beer bottles in, that’s what I did! Worked like a charm too. 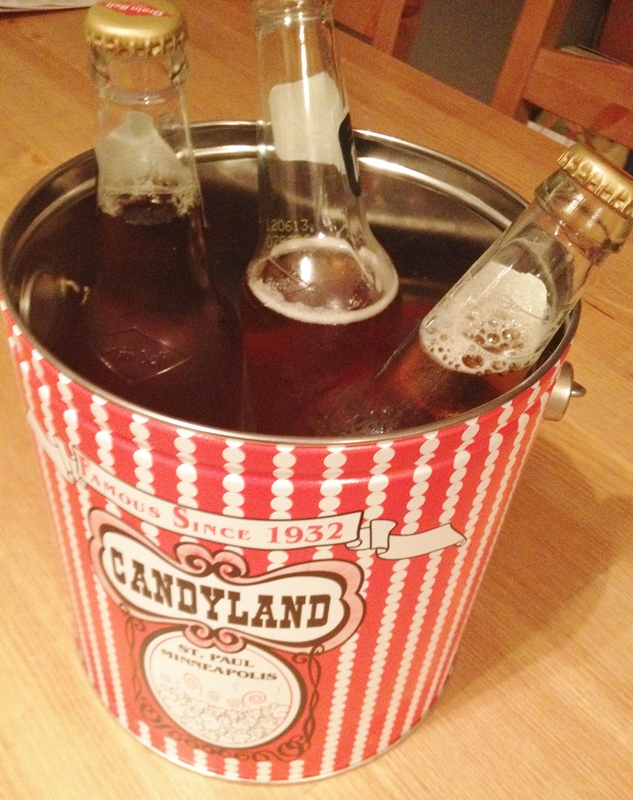 No one had to miss a play or wait for the commercial breaks to get their beer thanks to our new ice bucket. Thanks Candyland! As for the beer, we kept things local with Grain Belt and Summit. This is a blog about all things Minnesota, would you expect anything else? I didn’t think so. The perfect blend crafted to satisfy both your sweet and salty cravings, Candyland’s Chicago Mix ® is my choice for a game day hit or as a warm wishes during the holidays. Barbette is a casual, eclectic French Bistro located on the corner of Lake Street and Irving Ave. S. in Uptown. The owners of Barbette are a collaborative bunch. They work with local farmers, organizations supporting local and organic agriculture, local brews and spirits, and other restaurants supporting local foods. It’s because of these relationships that Barbette is able to provide its guests with an incredibly fresh menu that changes with the seasons. Chef Sarah Master’s background in French bistro cuisine and skills in “nose-to-tail” concepts with meats and produce contribute to success and outstanding creations of Barbette. In addition to creating a menu with selections that are out-of-this-world good, Barbette is heavily involved in the arts and culture scene in Uptown. The inside walls are used to display the work of local artists. Stop by, take a look, and you won’t be disappointed. In addition to supporting the arts, Barbette throws a huge bash every year in between Lake Street and Lagoon in Uptown to celebrate Bastille Day. (Of course a French restaurant should throw a party on this day!) They invite vendors and pretty decent musicians to come out and join the festivities. 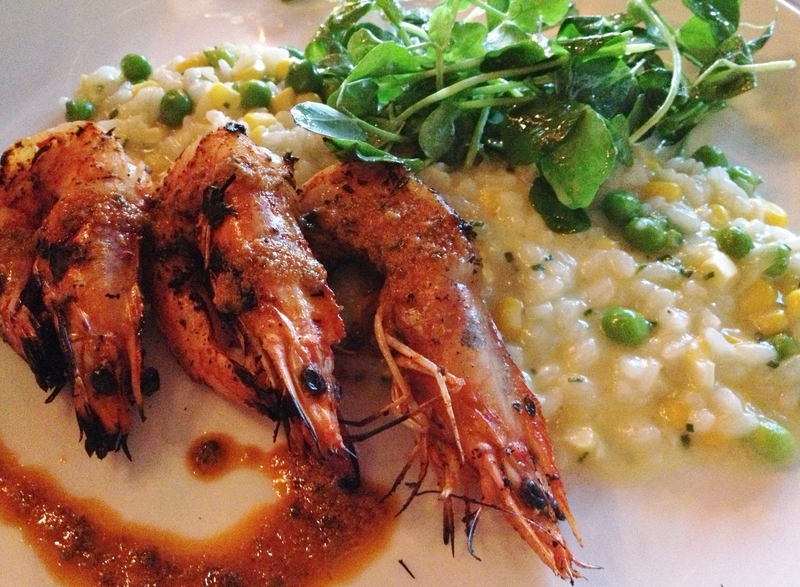 I went for the Shrimp with Sweet Corn Risotto (sweet corn, peas, pea tendrils, and parmesan crisp). Tony ordered a full entree of the risotto and, to be honest, that was a smart decision. The risotto was probably the most delicious dish I’ve had in a very long time. The risotto was very creamy with a subtle sweetness thanks to the corn and peas. Both Tony and I couldn’t help gobbling this up in a hurry, concluding that we have to reorder it the next time we are in. Yes, the risotto is that good. Now that I’ve gushed about the risotto, I’ll touch on the shrimp. Yes, the shrimp was fantastic as well. I actually loved the smokey flavor to complement the sweetness of the risotto. They came out nice and hot and were easy to take out of their outer shell. The chefs at Barbette definitely know their stuff! If you couldn’t tell, I would highly recommend going here and ordering this dish. Trust me, you won’t go wrong with Barbette’s Shrimp with Sweet Corn Risotto. Top this off with a glass of wine and you’re all set! Runyon’s Bar is a diamond in the rough hidden in the architecturally interesting Warehouse District in Minneapolis. Being away from the downtown of Minneapolis, it’s quiet and offers a good space for conversation with friends. As you can see from the picture above, the decor and atmosphere look very dive-bar-ish, but done in a classy way. From what I’ve found, every spot you find has that one menu item that is a smashing hit. Runyon’s specialty just happens to be their buffalo wings. My husband and I were introduced to Runyon’s through a few close friends of ours. This is practically the regular venue of choice for everyone at the Sartell Group. I can definitely see why. It’s nice to get away from the busy bars and lounges of downtown Minneapolis in favor of quieter, more relaxing happy hour. This place is ideal for larger groups. They have huge booths and tons of space to fit everyone in your party. Game time hangout anyone? This trip that I’m writing about wasn’t our first time there. Runyon’s Honestly, some of the BEST wings you will ever have in your life. Not only do these wings pack a lot of meat, but they are rich flavor. 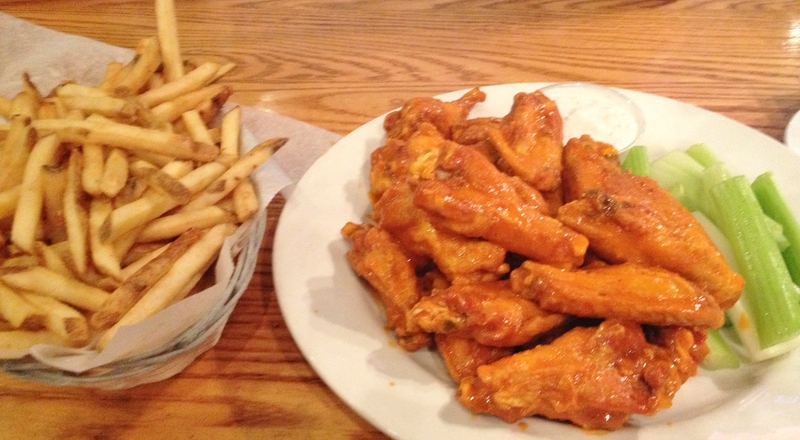 The wings come in three sizes: 10, 20 or party size. Tony and I always order the double size (20 wings) and a basket of fries. To be honest, this would definitely serve three people. Now, I must highlight their dipping sauce. The signature sauce is an especially tasty blue cheese. Also, I’m not typically a fan of blue cheese dipping sauces, but Runyon’s knows how to do things right. Runyon’s doesn’t skimp on the sauce. It’s thick and actually loaded with nuggets of blue cheese. It’s the perfect complement to some buffalo wings! On top of awesome wings, they have a great staff who really try to get to know their customers. There is a reason why my friends and I have become repeat customers. 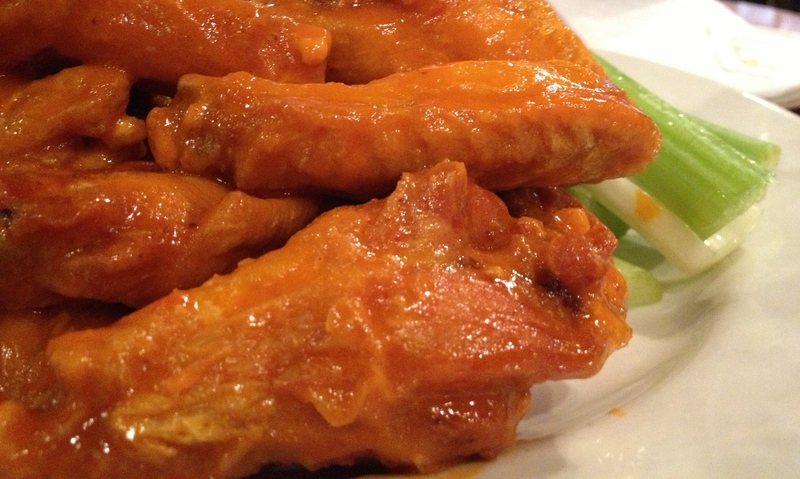 If you’re looking for buffalo wings that are out-of-this-world delicious and a solid beer selection, Runyon’s Bar is the quiet gem you are looking for! Just remember, try to get there early on game days. Without an official lot to park in, it makes things difficult when searching for a parking space. A view from inside Stella’s Fish Cafe. Stella’s Fish Cafe & Prestige Oyster Bar is a contemporary seafood restaurant located on the cross roads of W Lake Street and Grand Ave. S. That would be in the heart of the Uptown Neighborhood in Minneapolis. With a roof-top bar four stories high, it’s definitely the place to be on a warm summer night kicking back a specialty cocktail and noshing on fresh seafood. In addition to your traditional seafood fare, they also offer sushi! In case readers haven’t caught on from my previous posts, I keep saying fiance. Well, it finally happened. Tony and I are finally married! YAY! As part of a bridal shower gift, our friend Sarah gave us a gift certificate to a couple different restaurants for our future “date nights.” This wasn’t my first time here, but Tony had never been so he was very excited to check it out. With roof top seating and a well-stacked menu, we couldn’t wait to use this gift card! Coconut Shrimp with a pineapple and coconut marmalade. With my taste buds craving something with a tropical influence, I had to go with the coconut shrimp. Deep-fried, but not greasy, these shrimp hit the spot! I was impressed with their pineapple and coconut marmalade dipping sauce. It was a refreshing addition to an already light entree. With the shrimp, you also get a side of coleslaw with garlic and chive mashed potatoes. Let me digress, I’m not a mashed potatoes kind of girl, but I will always make an exception for theirs. Their garlic and chive mashed potatoes will be an instant hit for anyone looking for some soul food. Beer Battered Fish and Chips. The pieces of fish were hearty. You can expect to get large pieces of fish and nothing skimpy. The Icelandic haddock (the type of fish) was very fresh. If that’s not a good enough description, I don’t know what is. 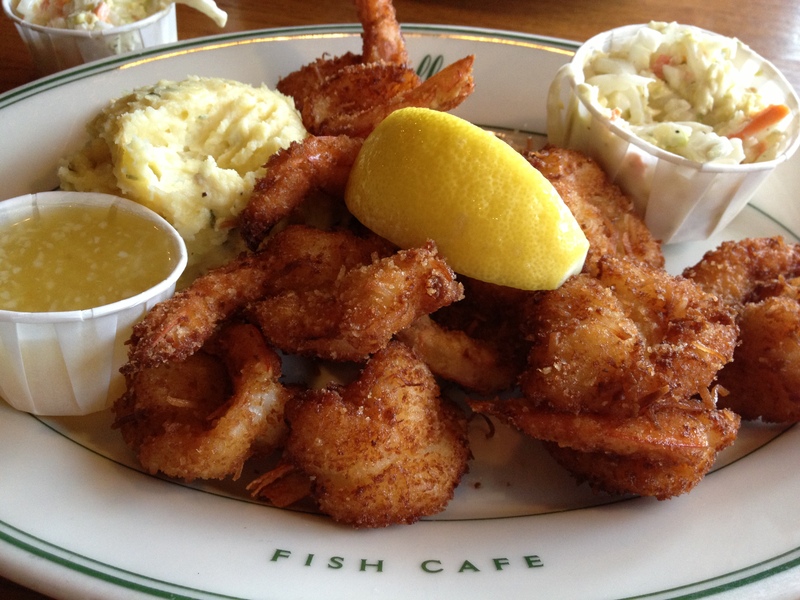 Stella’s Fish Cafe is definitely a “must-do” when looking for a place to dine in Minneapolis. 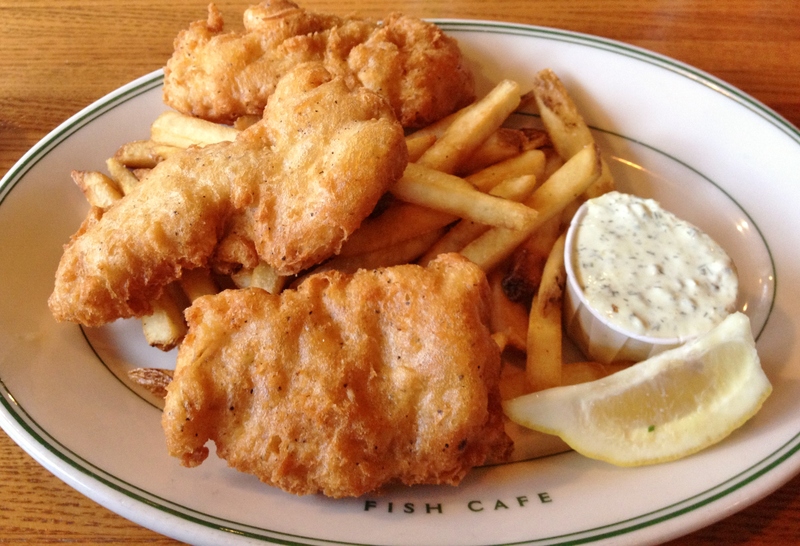 If you are looking for a well-rounded menu, the Twin Cities’s best fish and chips, and some of the freshest seafood in the Metro, you’ve found the right place. Thanks for the gift card Sarah! For any foodie within the state of Minnesota, this is the prime event of the summer for you. If you are an enthusiast of good food and even better wine, you’ll not want to miss out on this opportunity. The nation’s best and Minnesota’s best celebrity guest chefs team up with Madden’s chefs for a culinary experience you won’t soon forget. Because Madden’s did such a great job providing an online schedule, I won’t spend time reiterating what they’ve already composed. What I will say is that this looks like one fantastic weekend for anyone looking to have top class food and participate in a wide variety of culinary activities. Guest vintners offer tastings and the appropriate wines for each event. Guests will have the chance to personally interact with renowned chefs through a number of activities, demonstrations and educational sessions. All I can say is, come hungry and be ready to have an outstanding weekend filled with culinary delights. Information on tickets and packages can be found on their website here. Call 218.829.2811 to make a reservation. Madden’s on Gull Lake, self-described as Minnesota’s Classic Resort, is located on Gull Lake near Brainerd, MN. Brainerd is located in Crow Wing County, about 2 hours North of Minneapolis and is a hot vacation spot for many Minnesotans. You’ll have to travel a little farther north to reach Gull Lake, but don’t worry, the drive isn’t far. Madden’s offers a variety of serves and entertainment for family vacations, weddings, business events, or anyone looking for fun recreational activities. Madden’s on Gull Lake, self-described as Minnesota’s Classic Resort, is located on Gull Lake (the name says it all) near Brainerd, MN. For those of you who don’t know where Brainerd is, I’ll help you out. Brainerd is located in Crow Wing County, about 2 hours North of Minneapolis and is a hot vacation spot for many Minnesotans. You’ll have to travel a little farther north to reach Gull Lake, but don’t worry, the drive isn’t far. Madden’s offers a variety of serves and entertainment for family vacations, weddings, business events, or anyone looking for fun recreational activities. Confused as to why I would write about a resort on a food blog? Let me clear things up. Madden’s is sponsoring two events this summer that would invigorate the minds and taste buds of any foodie within the state! Let’s start with Madden’s Benefit Dinner. Madden’s Benefit Dinner for Kids Against Hunger is planned in conjunction with Madden’s Food and Wine Tasting Weekend. The Benefit Dinner is the highlight of Friday night. Madden’s teamed up with celebrity chefs to provide attendees with a 7-course dinner complete with wine pairings. Who wouldn’t want to attend this? I also want to say “hat’s off” to Madden’s! Proceeds of the night will be donated to Kids Against Hunger in the Brainerd Lakes Area. What better way to raise awareness and contribute to this cause than host a 7-course dinner?